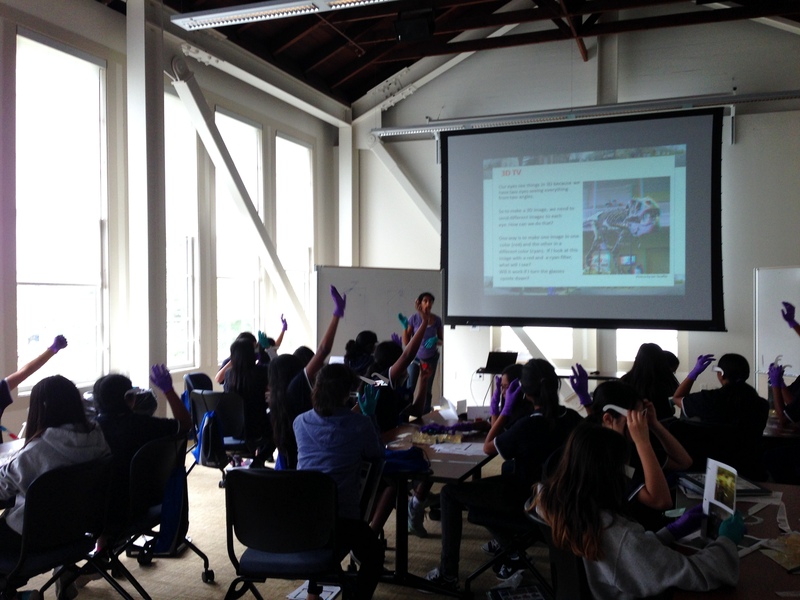 Led by female faculty members and graduate students, during the past summer UC Berkeley College of Engineering launched a summer camp designed to inspire middle school girls to explore careers in STEM fields (science, technology, engineering and math). The summer camp consisted of two separate periods in June and July respectively, one week for each, and hosted altogether about 60 middle schoolers from five East Bay schools. See our video here. 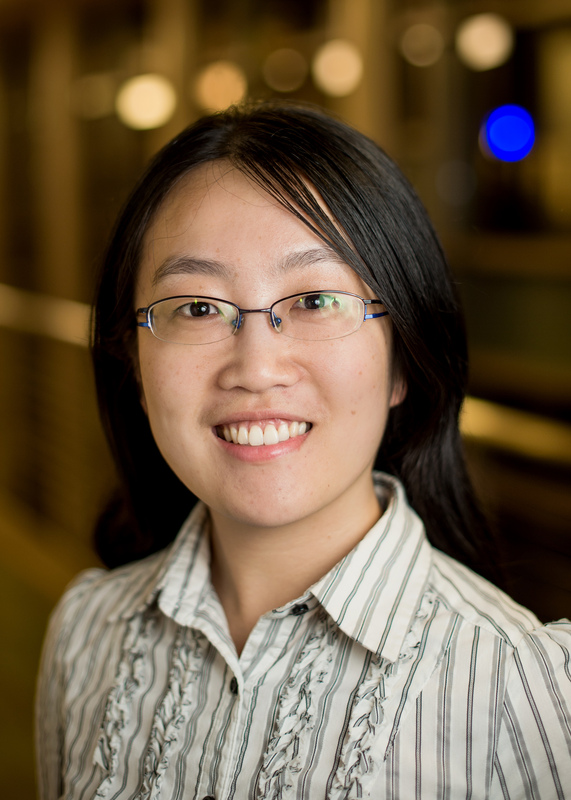 As a female graduate student from a male-dominated department (EECS), and a CIAN student specialized in the area of optoelectronics, I feel obligated and pleased to introduce the girls to see what can be fun and interesting about optics. I designed and hosted a workshop called “Fun in Optics,” utilizing a lot of components from the CIAN TOTE (Tools in Optics Technology Education) bag. The first part of the workshop was an introduction to light and all the unique characteristics, including intensity, wavelength, polarization, refraction, diffraction, etc. Each terminology was explained with a little experimental demonstration. For example, I passed around two polarizer sheets to let them try overlapping and twisting the angle to block the light. And in order to explain diffraction, we shined a laser through films patterned with different gratings to observe the various pictures projected on the wall. 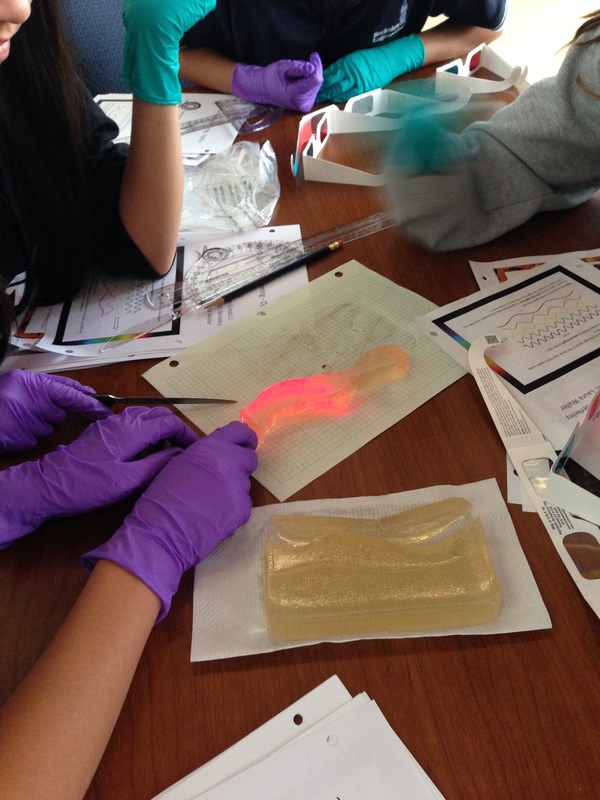 The girls were very eager to get hands-on, therefore, I designed a 40-minute lab session on “Gelatin Waveguide,” with the idea inspired by one of the CIAN blogs I read. The experiment materials I obtained from online were designed for two lab sessions, and when compressed into 40 minutes, it became very challenging and important to guide the students through the steps and make the final goal clear. It didn’t work as well at the first workshop in June. With 7 groups of 5 girls each and only one instructor, students easily got lost and started chopping the gelatin into pieces, although the steps and goals were written very clearly on the slides. But, by the time I did this workshop again in July together with my colleague Vidya, we simplified and revised the procedures and started doing real-time demonstration at the same time of their operation. What we found is that demonstrations and hand-drawings speak louder than a thousand words and pictures printed on slides. Also, this lab session works the best for smaller groups, maybe 5 groups of 4-5 students advised by 2 instructors. The girls not only finished the experiment goal efficiently this time, but came up with creative ways to achieve it that really impressed me. Throughout the experiences of outreach activities with various content orientated at different goals, I learned that knowing your audience and participants in advance and designing your goals based on their specific background are particularly useful. And in terms of teaching science and technology, especially to girls, I always believe experimental demonstration followed by formula or theoretical conclusion work better than the other way around. After the two summer camps, the faculty, graduate students, and staff organizers sat together for a work lunch and summarized all the pros and cons we learned. I cannot wait to see the summer camp improve in years to come! This entry was posted in Education, Outreach and tagged Berkeley, CIAN Students, education, jello, lasers, Optical Sciences, optics, outreach. Bookmark the permalink.